If you're confident that the problem you're experiencing began only after one or more Windows updates, whether manual, automatic, on Patch Tuesday, or otherwise, continue reading for help on what to do next. This might also be a good time to look over our Windows Updates & Patch Tuesday FAQ page if you haven't already. Any of Microsoft's operating systems could experience problems after Windows updates are installed, including Windows 10, Windows 8, Windows 7, Windows Vista, Windows XP, and Windows Server versions. Please read the How to Use This Troubleshooting Guide and Are You Sure This Is an Issue Caused by a Windows Update? sections below before moving on to the troubleshooting steps! To get your computer running again, you need to understand how this troubleshooting is organized, as well as make sure that your problem really was most likely caused by a Windows update. Even if you're 100 percent certain that an update from Microsoft caused the problem you're having, do us a favor and read it anyway. If you spend the next hour or two trying to fix a problem using the wrong assumption about its cause, it's unlikely that you're going to walk away with a working computer. Once you're fairly certain that your issue is directly related to the installation of one or more Windows updates, the second thing to do is decide which set of troubleshooting steps to follow: Windows Starts Successfully or Windows Does Not Start Successfully. 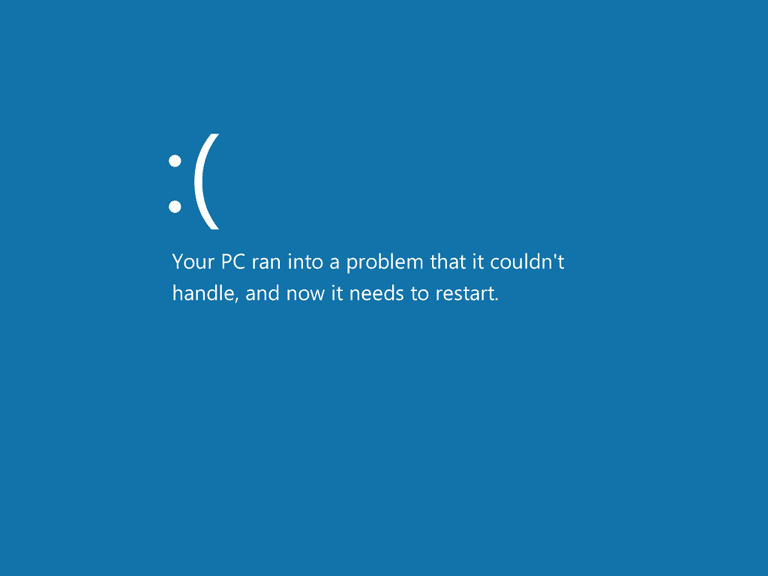 For example, if your computer no longer powers on at all, powers off immediately after powering on, turns on but displays nothing on the screen, or has some other problem prior to the beginning of the Windows boot process, then a recent Windows update was simply a coincidence. See How to Fix a Computer That Won't Turn On (items 2, 3, 4, or 5) for help working through your problem. If you'd like to settle this question for sure, physically disconnect your hard drive and then turn on your computer. If you see the exact same behavior with your hard drive unplugged, your issue is in no way related to a Windows update. Did something else happen, too? While your problem could certainly still be due to issues caused by a Windows update, you should also at least keep in mind other likely variables if any come to mind. Problem: Some websites are inaccessible in Internet Explorer. Solution: Reset Internet Explorer's Security Zones to their default levels. Problem: A hardware device (video, sound, etc.) is no longer working properly or is generating an error code/message. Solution: Update the drivers for the device. Problem: Installed antivirus program won't update or produces errors. Solution: Update the antivirus program's definition files. Problem: Files are being opened by the wrong program. Solution: Change the file extension's default program. During the System Restore process, choose the restore point created just prior to the installation of the Windows updates. If no restore point is available, then you won't be able to try this step. System Restore itself must have had some issue prior to the Windows update that prevented a restore point from being automatically created. Reinstall Windows Vista, retaining no personal files or programs. See How to Clean Install Windows Vista for help. If you can tell your computer is "running hot" thanks to all the work it's been doing trying to boot, try powering it off for an hour or so before starting it up again. The Last Known Good Configuration option is only available on Windows 7, Vista, and XP. You'll need to know how to start System Restore from the Command Prompt in order to do an offline restore. A typical System Restore is completed from within Windows but since you can't access Windows right now, you'll need to complete an offline System Restore, meaning from outside of Windows. This option is not available in Windows XP. Since all of the changes made by the updates are undone during this process, it's likely to fix your problem. However, as soon as you get back into Windows, see How to Prevent Windows Updates From Crashing Your PC before you do anything else. You could experience the same problems again soon unless you make the preventative changes outlined in that article. You need to know which Windows version you have to know which set of instructions you need to follow.